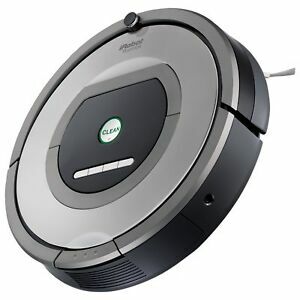 NEW iRobot Roomba 960 Bagless Vacuum Cleaning Robot with Wi-Fi Connectivity. 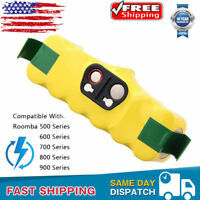 iRobot Roomba Replenishment Kit, 800/ 900 Series- NEW! See Details! iRobot Braava jet Mop Damp Sweeping Pads Box of 10! New/Sealed/Free shipping! More than just another vacuum cleaner, this iRobot Roomba vacuum cleaner gets rid of dust, dirt, food debris, and pet hairs. 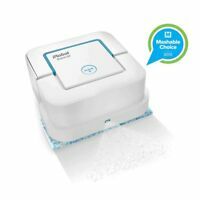 The iRobot 650 cleaner self-adjusts to hard flooring, carpet, lino, and tiles. What is interesting about this Robotic vacuum cleaner is that the debris doesn’t stick to the brush bristles. Instead, due to the AeroVac Technology used in this powerful machine, the maximised air flow pulls off debris and sends it back into the bin. The same goes for hairs, which usually get entangled among the bristles: the user of this iRobot Roomba vacuum cleaner won’t have the hassle of pulling them off by hand, as the power of the cleaner pulls them off without manual intervention. With long-lasting brushes, the iRobot 650 is built to be sturdy, but with Dirt Detect Technology, also it is intelligent. This feature allows the vacuum cleaner to detect dirtier areas, and spends more time on those spots. Thanks to the iAdapt Technology utilised in this Robotic vacuum cleaner, it can clean hard-to-reach areas such as under beds and furniture. With its patented three-stage cleaning, this iRobot Roomba vacuum cleaner is a great helper to have around. There are 318 items available. Please enter a number less than or equal to 318. Only been 2 weeks but: I was looking for a better way to keep hardwood floors clean and this does the trick for dog hair that seems to accumulate along baseboards. Now that Spring has come, it also does OK picking up tree tassles and nut pods the dog brings in. Transitions from wood to rug easily. I don't trust it yet to run when noone's home therefore I haven't tried the scheduling function. It'll eat tablet cords so you need to prep the room a bit making sure extension cords, tablet cords, socks, ... don't get in the way. It's also a little noisy. Overall - it's cut down on our sweeping & vacuuming time so I'm happy. Also pretty cool to watch. It does pick up things, however for the price, it's kind of a waste of time. It takes 4 times longer than if we use a regular vacuum. Unless you move all objects, tables , chairs, etc. it tends to have a problem going around or thru them. Also, the path it takes is very erratic it may go over same area 3 times but misses area 4 inches away! You can't control its path. It does pick up pet hair very well. The device is easy to use. Simply set the schedule and let the Roomba do the cleaning. This vacuum is not as powerful as a regular vacuum cleaner, but it saves you precious time. The bin is small. Follow the instructions to clean it each time after usage. I would recommend the Roomba 761. The best gift ever! The Roomba is great at keeping the floors free of dog hair. It is easy to use and easy to maintain. Seriously considering another one for the second floor. "Reginald" the Roomba, a second pet to clean up after the first. The Roomba 761 features a hepa filter which, even if it's just a placebo, seems to reduce my pet and seasonal allergies. The Roomba performs well on carpeting and leaves the pleasant lines that make a floor look clean. It will occasionally get stuck on slightly converging angles, but it generally only makes the same mistake once per vacuuming cycle. We have couches that converge from 3 inches to 1 inches of clearance. With the invisible barrier tool this problem is easily fixed, but honestly, it's not really an inconvenience to unstick the roomba and the barriers don't come with batteries so we make do with it. The scheduling is a nice feature that keeps us honest and my wife and I couldn't be happier with our noticeably cleaner floors and carpets.